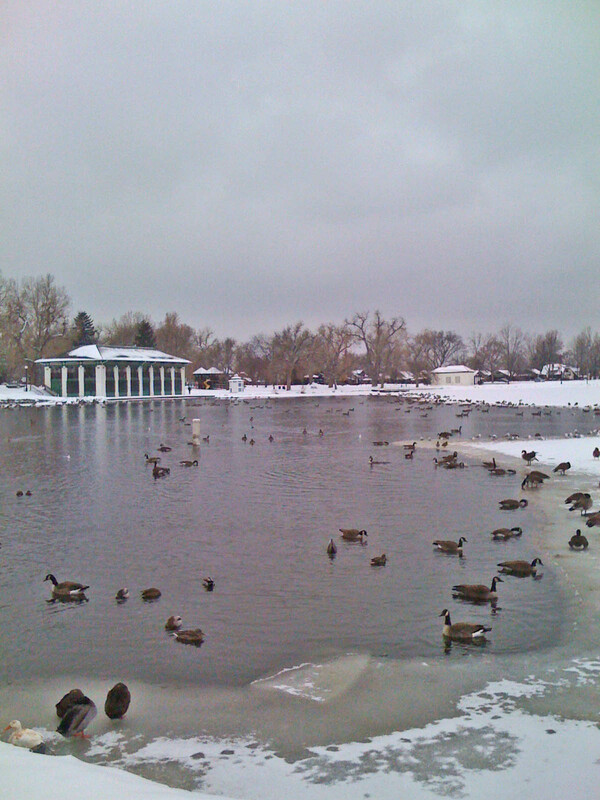 West Wash Park Living Blog Life in and around West Wash Park, Denver and more. Well spring has hit Denver and so has our first big ,wet spring snow storm. 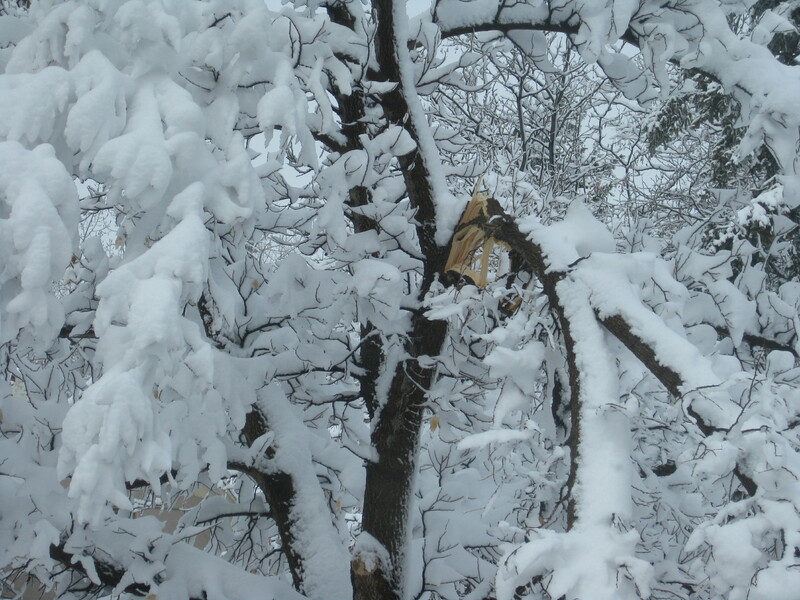 The beauty of a spring storm can sometimes be overlooked by the damage that comes along with this heavy, wet snow. Power outages, downed tree limbs and power lines, and lots of slush are but a few of the consequences of a heavy spring snow. 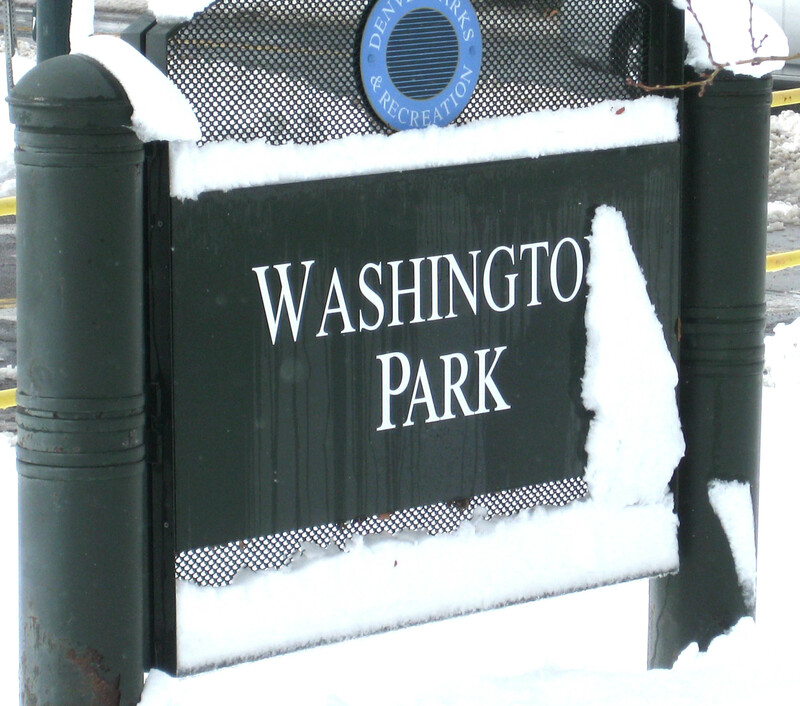 But let’s not dwell on all that and just see what beauty comes of a spring snowfall in Wash Park. 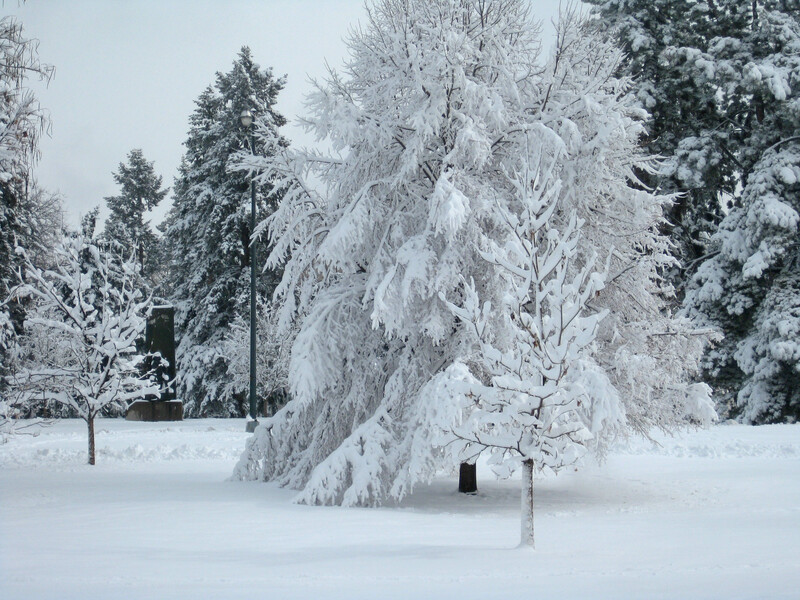 Most snow storms hit us from the north, as seen with the accumulation on some of these north facing trees and light posts. 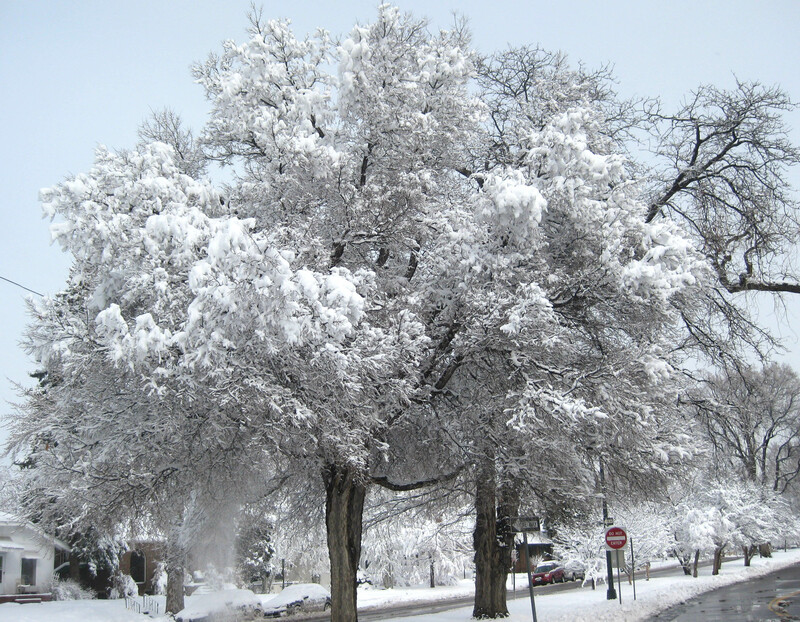 These heavy, wet spring snow storms can take a toll on trees and shrubs that hold snow like a magnet holding metal filings. 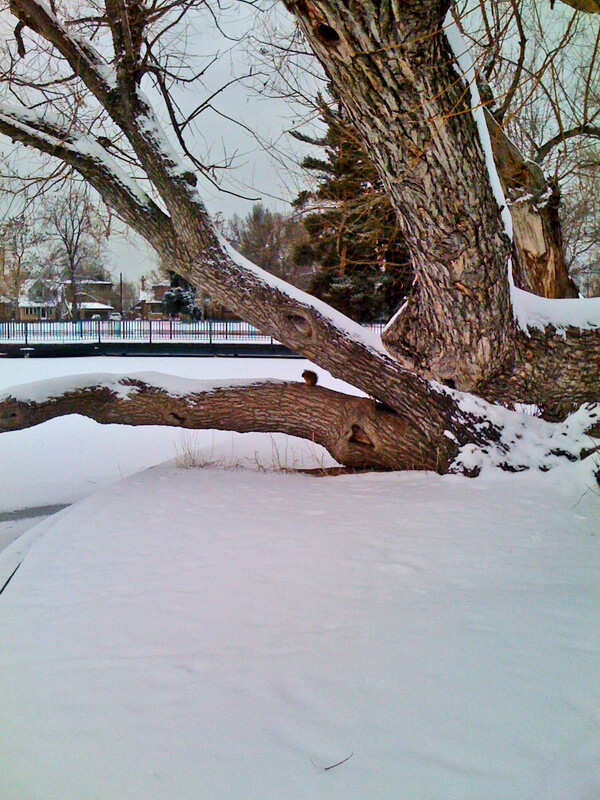 Most trees are resilient and strong enough to hold on until the melt happens. But in Denver this scene will be transformed in a mere few days. Erased by the sun as if it never happened and the park will be abuzz with bikes, roller blades and children running about forgetful of what the neighborhood looked like just few days prior. Remember, Denver has approx. 300 days of sunshine a year, so we just look at these springtime snowstorms as a great way to get some water in the ground and help make it a greener summer. 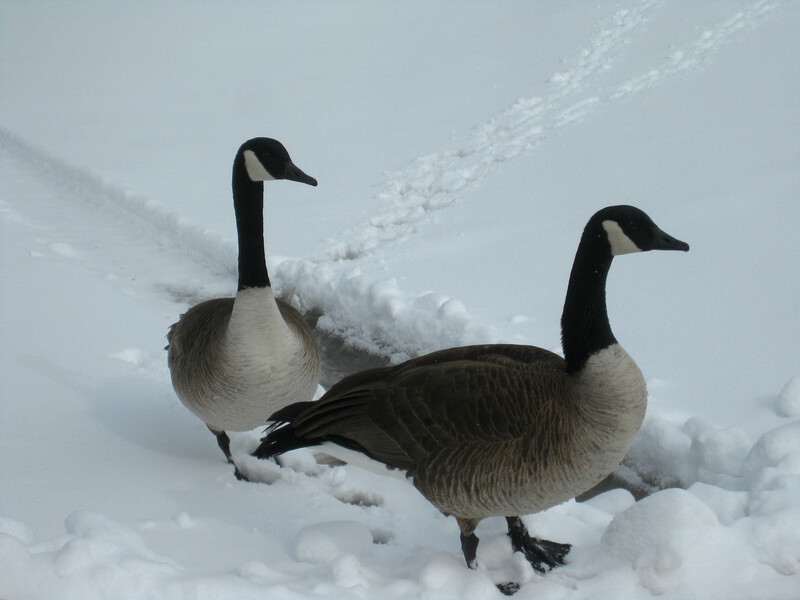 The residents of the park don’t seem to have been affected by the snow at all. 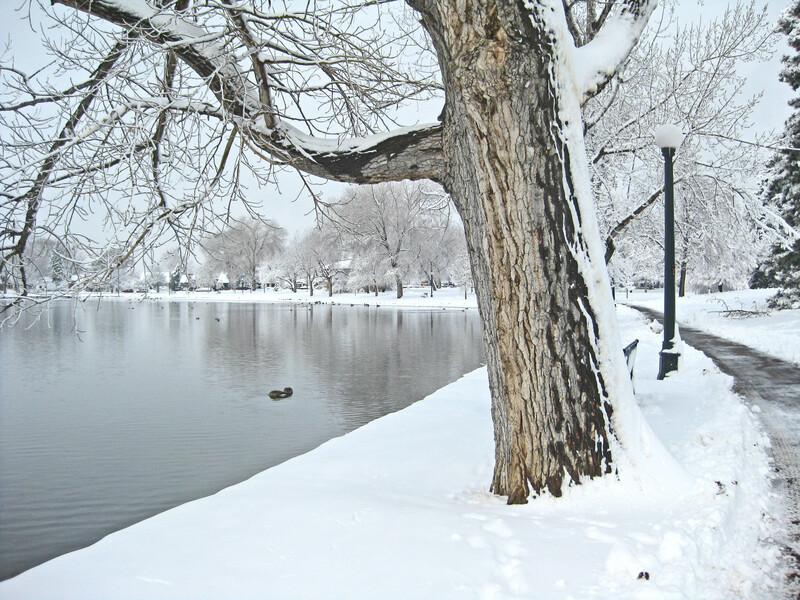 Winter is in full swing in Denver and the beauty of winter in Wash Park is truly a site to behold. 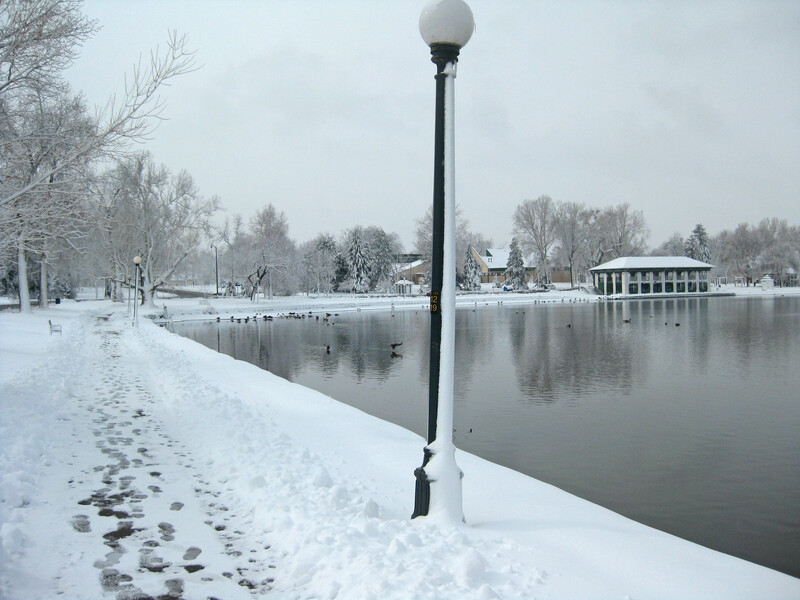 Smith Lake and the boathouse is one of the spots that truly gives winter in Wash Park that wonderland feel. 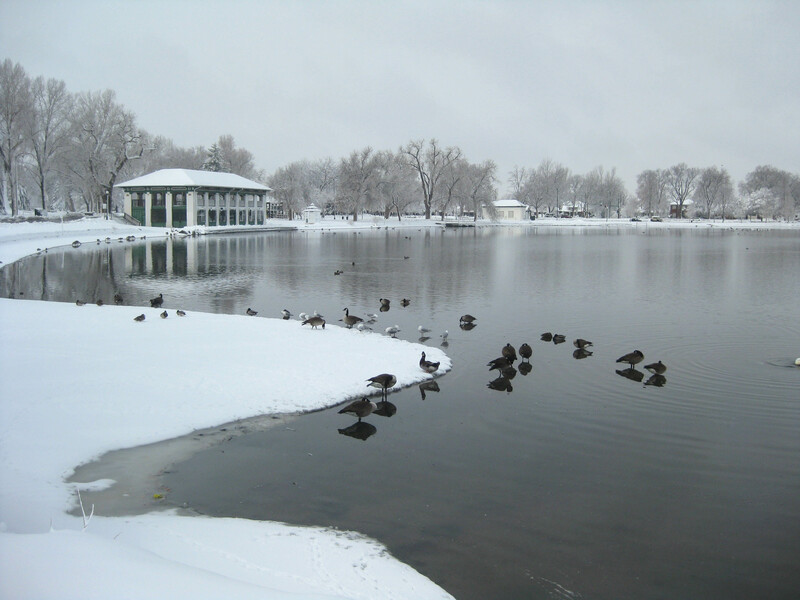 As the snow fell peacefully on the park this past weekend, there were many park goers enjoying its beauty. From cross-country skiers to flag football players, the park was aplenty in winter revelers. Even a lone squirrel was enjoying the view out over Grasmere Lake. 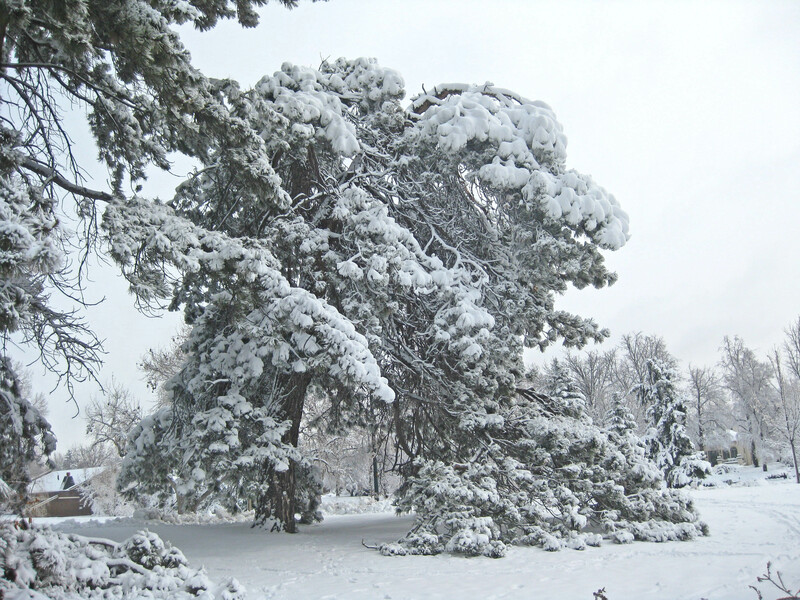 So Denverites remember, although Wash Park is especially magical in the summertime, come on over on a snowy day and take in the Wash Park winter wonderland experience. 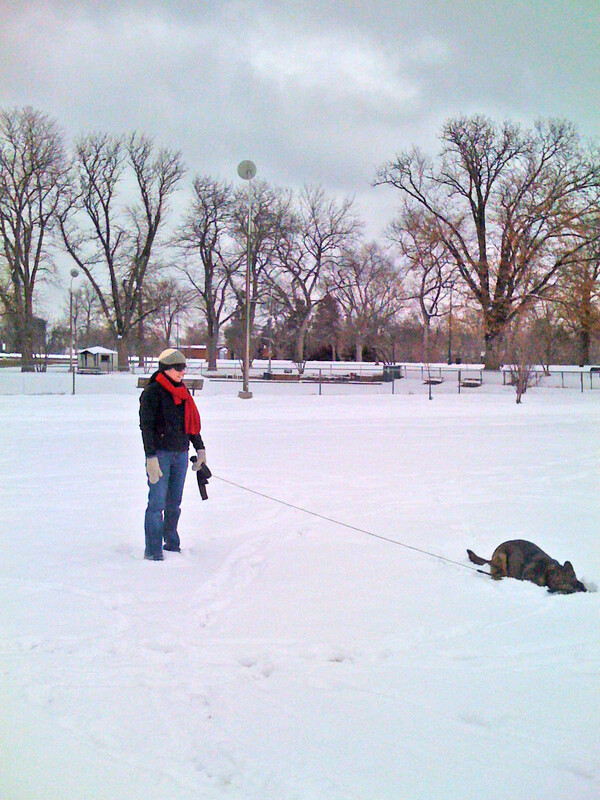 Bring the dog (on the leash please), bundle up the baby and grab the pull sled, grab your running shoes, snow shoes, cross-country skis or just walk around with a nice hot cup of coffee from one of Wash Park’s many neighborhood coffee shops and enjoy your park. Kirk Hartshorn 720-244-5454 RIDE ON! What a great weekend it was in Denver and a fantastic time to have been at Wash Park taking photos of the gardens. The time is drawing near that the flowers will be uprooted for the season and we’ll have those lovely mounds of dirt to admire. We were not alone this past Sunday in the park, that’s for certain. We found ourselves snapping pics of each other with Suki around the garden with so many other people on the same mission. We were asked by a nice young lady if we ‘d like a picture of us together, and we were appreciative of the offer. She in turn asked if we would take one of her and her boyfriend and his mom, who was visiting from the St. Louis area. We obliged of course. We ended up talking for a half hour or so and come to find they are new to town renting over in the DU area. We discussed the appeal of the park, the weather, and of course cycling, which to my delight, found out they both ride. New friends? I think, yes. They’ve got my biz card. I’m sure we’ll to get together for a ride and then a beer. West Wash Park – “Where to live in Denver NOW”! Tweets that mention… on LOST PUPPY ALERT IN WWP! !